Now is the time to get you Christmas keywords, SEO and Christmas content marketing up and running. Here is a handy guide to getting it right and attracting targeted traffic at a busy time of year. 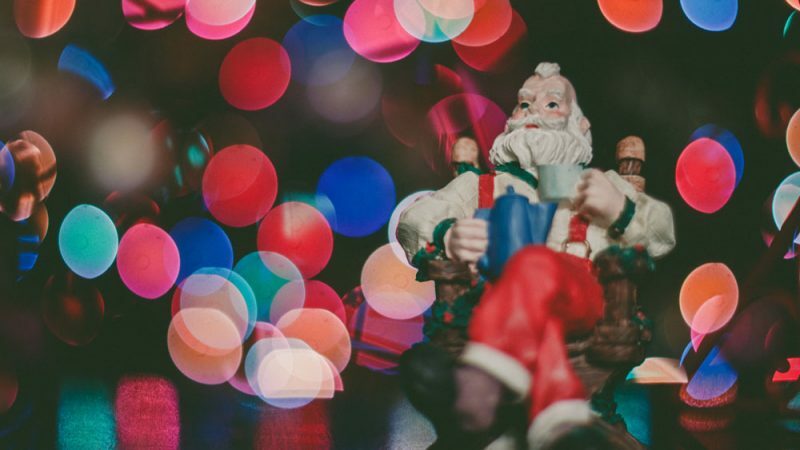 If you already have a content schedule or calendar then you will have already planned in lots of great seasonal content that will appeal to on-line Christmas shoppers. If not or if you would like some more ideas have a look at these tips and suggestions to help you get the most from this short window of activity. Start now and you will have you pages in place and indexed by the major search engines before the volume of searches really increases. Phrases like “christmas decorations” show a low of 260 searches per month during the summer however it was over 60k by September and if it follows the same track as previous years will be over 300k for December. The main aim of content marketing is not to sell directly to the reader but is there to attract, inform and engage with the intended target audience. The content of each page is optimised specifically to be relevant and attractive to that specific target group. By providing what the visitor is looking for your content will create a positive and helpful experience that in turn will create a favourable impression or awareness of your brand, product or service. What will you potential customers be looking for? What is the intent behind the text they enter. Think about the thought processes they will go through from the initial planning/investigation to the actual purchasing. Consider your products and services and see how they can be framed in a seasonal context such as a gift or festive activity. For inspiration you can use the Google Adwords – Keyword tools. This tool is designed to simplify keyword research and Adwords campaign planning however it also works well for research into keywords and phrases. Spend you time on content that already has a viable and interested audience. Another good source is Ubersuggest Just add you initial term which will deliver a great alphbetical list of ideas. Then click to add their suggestions to your own report. You should also look at your sites Google Analytics, pairing the seasonal term along with proven popular search terms that are being used by your current site visitors. Google Suggest can also be a useful source of ideas – type a phrase into the search box and Google will show you a range of similar popular searches. Armed with your keyword list start creating some great content. To reach people who are busy researching their purchase or looking for ideas create “How to….”, “Guide to ….”, “10 tips when….” etc. type of articles or posts. These are the type of expressions people are most likely to use customise them to your business and customers. Remember that you need to add the seasonal reference as well as your product, topic or service area. Helpful and interesting content will be shared, tweeted and liked. It is worth the effort. Don’t try to fit every thing into one post. Take a specifc keyword (along with related phrases) and use that as the focus for each individual article or post. Do make sure that the keyword appears in the page URL, title, in at least one headline (H1-6) and you should aim to get the keyword in your image Alt tags. (always have at least one image). All this will help your page to rank well for the chosen theme. Do write enough – as a rule of thumb this should be more than 300 words. As search engines focus increasingly on quality, pages that have scant content will be penalised. Pay attention to adding a suitable page description. Whilst this will not contribute significantly to your SEO it will make all the difference to your ability to get interest and clicks from your appearance in the search engine results pages. Do include the keyword term as this will appear in bold in the again helping you to stand out, appear relevant and get the click. Collect data from these landing pages, incentivise email/newsletter sign up with the prospect of Christmas news and offers. Look at your website to see how you might add some temporary seasonal sections. To help shoppers create appropriate web pages with relevant products grouped together supported by your Christmas keywords. If you have product that you sell online create new categories that reflect your seasonal keywords. Link to these pages in your seasonal content and social media. If you have any thoughts or ideas on other areas that will help with Christmas content marketing do share with a comment below. Above all do it now! – There is not much time left to get content and pages in place and working hard for you.